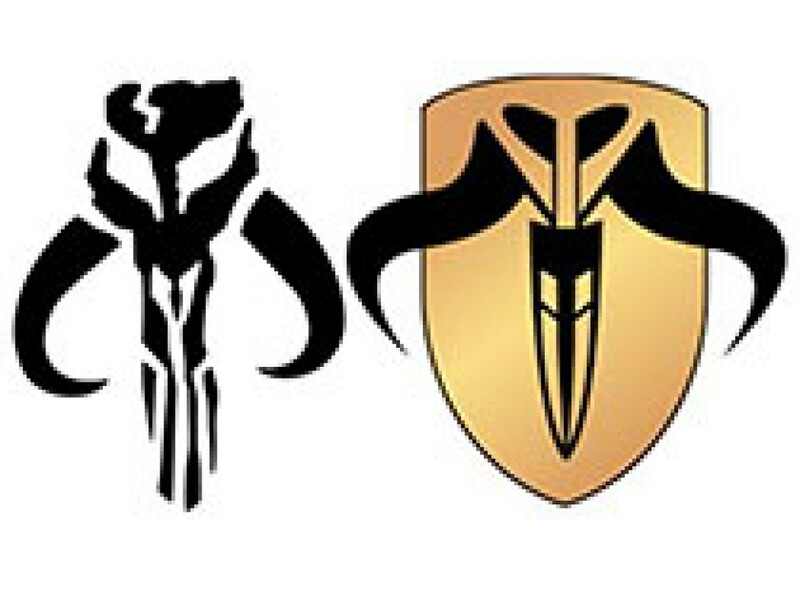 Recently I reached out to Mandalorian fans via my Facebook page to ask what they would like to see covered in my next “Mandalorian Mysteries” entry for the Official Star Wars Blog. The vast majority voted for Jaster Mereel, which didn’t completely surprise me since he holds a special place in the hearts of Mando fans. The name Jaster Mereel was first seen in 1996 by Star Wars author Daniel Keys Moran in his short story, “Last One Standing: The Tale of Boba Fett,” for Kevin J. Anderson’s book Tales of the Bounty Hunters. In this story Jaster Mereel is Boba Fett’s actual name before being exiled from his homeworld, and donning his infamous Mandalorian armor. 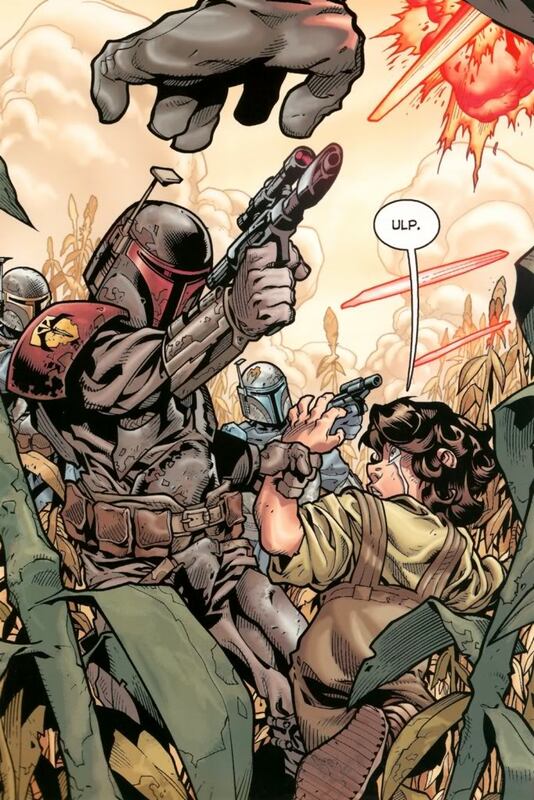 This would be the fan-accepted history of Boba Fett until release of Star Wars: Episode II Attack of the Clones, which told the story of Boba as Jango’s unaltered clone. In 2002 Mandalorian fans would get the official story of Jaster Mereel as part of the 4-part Dark Horse comic mini-series, Jango Fett: Open Seasons. 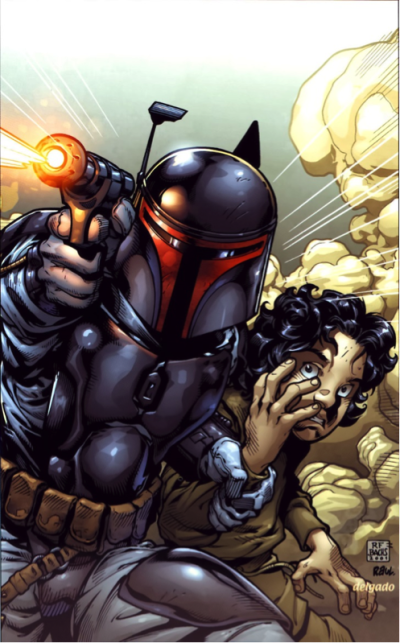 The first two parts of the mini-series trace the childhood events of Jango Fett, and the war between the True Mandalorian and Death Watch factions during the Mandalorian civil war. Jaster’s rise and Death Watch. 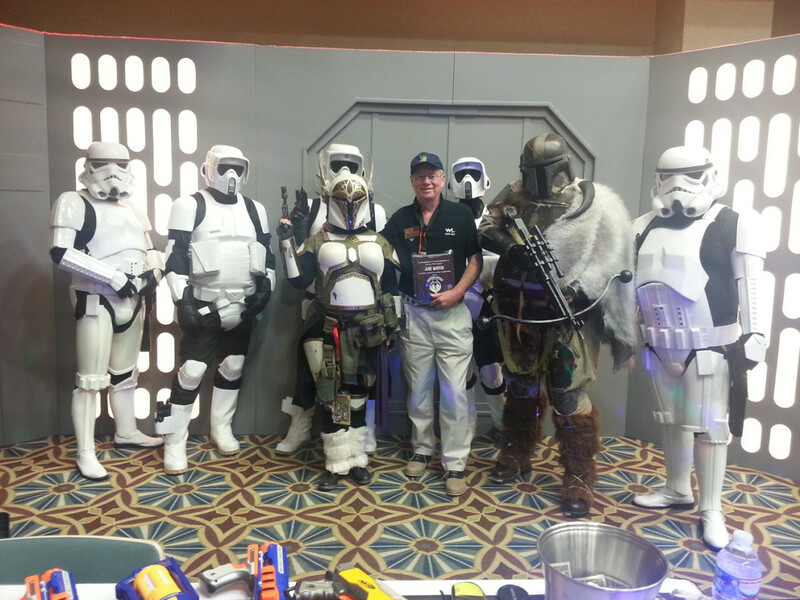 Jaster and the True Mandalorians fight Tor Viszla and the Death Watch on Concord Dawn. Jaster Mereel was a human male from the planet Concord Dawn, an agricultural world in the Mandalore sector. He served as a Journeyman Protector, the lawkeepers of Concord Dawn, until his high sense of morals led him to kill a corrupt superior. 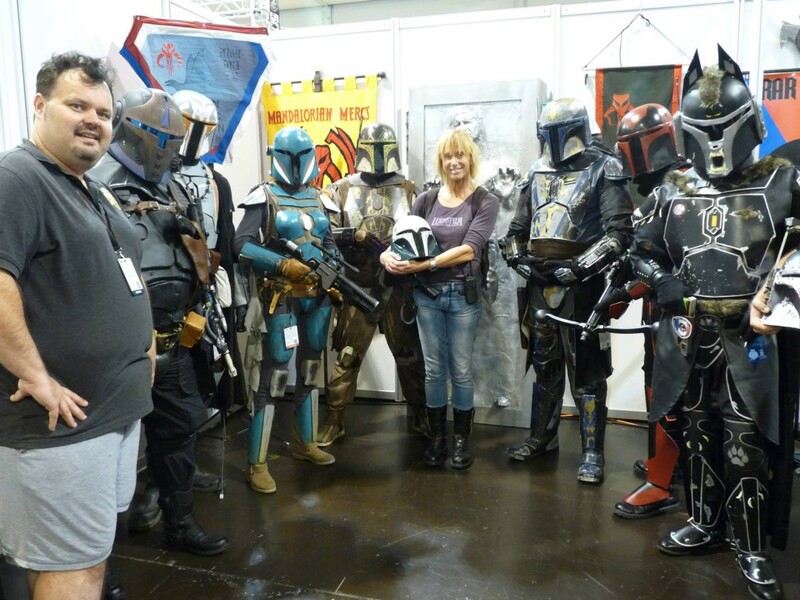 Charged with murder, Jaster was exiled from Concord Dawn and found refuge within the faithful Mandalorian clans. Earning the respect of his peers through combat and skill, Mereel would eventually assume the title of “Mandalore” around 60 BBY, leading the Mandalorian clans faithful to their warrior code. His greatest feat as Mandalore would also become his greatest defeat. 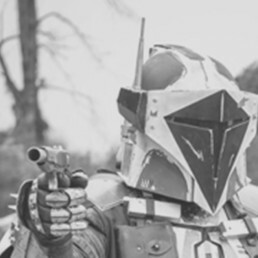 Finding that other Mandalorians felt dissatisfied with the savage ways that had become prevalent among Mandalorian warriors, he became a reformist for restoring honor to the clans and issued new behavioral guidelines for the Mandalorian faithful. His “Supercommando Codex” was a modern revision of the ancient Mandalorian “Canons of Honor,” which had been followed by the Crusaders and Neo-Crusaders of bygone eras. 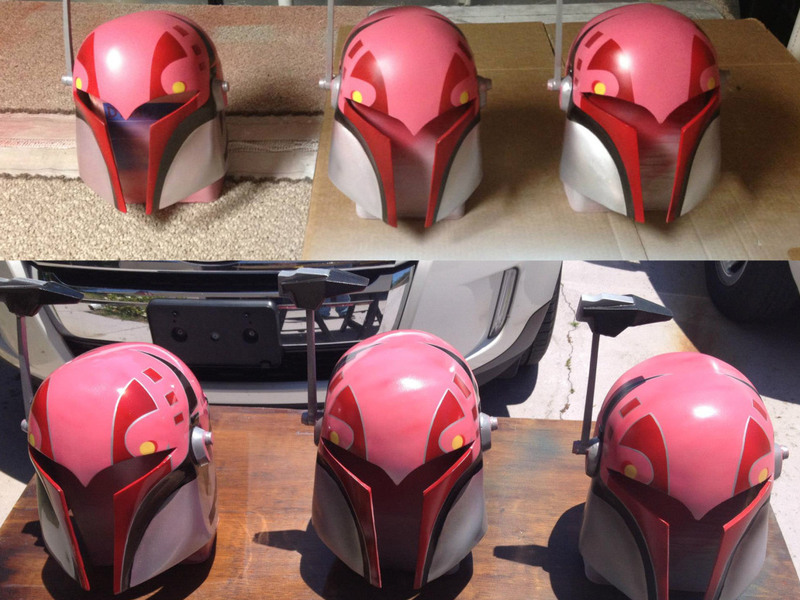 Mereel’s goal was to turn savage Mandalorians into highly-paid and honorable mercenaries. 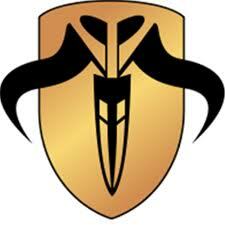 The sigil of the “True Mandalore” used by the True Mandalorian faction. 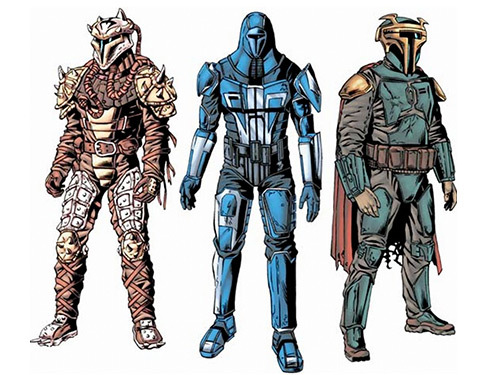 While popular with some Mandalorian faithful, the New Mandalorians rejected violence while a number of Mandalorian radicals banded together behind Tor Viszla to form the Death Watch faction — who violently opposed the changes Mereel sought to instill. 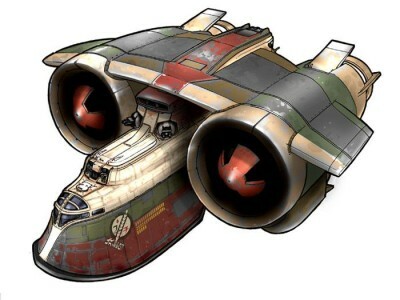 This schism within the Mandalorian faithful ignited into civil war between Death Watch and Jaster’s True Mandalorians. 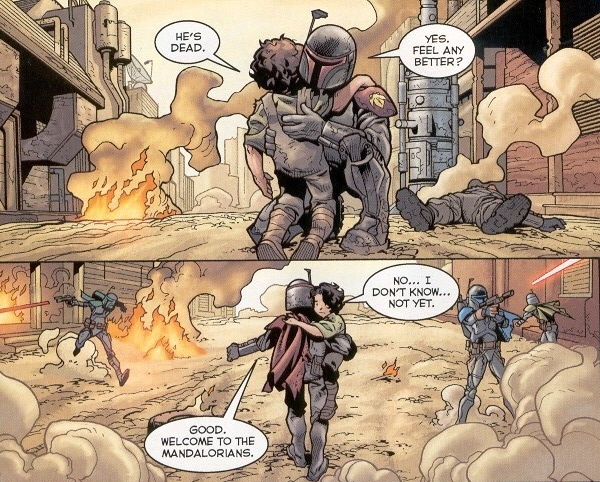 Jaster’s fight against the Death Watch would take him back to Concord Dawn in 58 BBY, where he would adopt a young orphan of the war named Jango Fett. The True Mandalorians would find victory against Death Watch on Concord Dawn thanks to Jaster’s tactical leadership and Jango’s rage over the murder of his parents. Jaster consoles Jango Fett after defeating Death Watch on Concord Dawn. Jaster’s betrayal on Korda Six. Korda Six would be the final battle for Jaster Mereel, some six years after the events on Concord Dawn (52 BBY). Considered to be “Easy Credits” by Jaster, the incursion on Korda Six proved to be the exact opposite, with several True Mandalorian troop carriers crash landing from planetary ion-canon blasts. 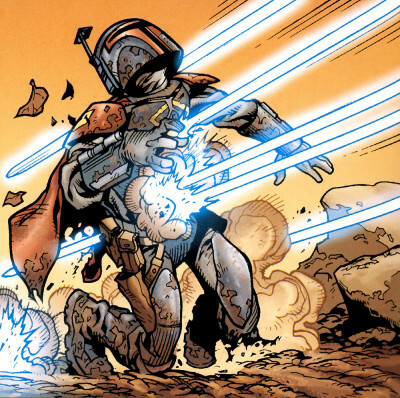 On the ground many Mandalorians fell victim to enemy blaster fire, with casualties being so high that Jaster would abort the mission and retreat. Not wanting to blemish a perfect battle record, Jaster’s lieutenant Montross would continue the airborne assault only to fall to a grenade blast. Mereel rescued Montross, but not before berating his actions and threatening Montross with ejection from Jaster’s mercenary crew. It was at this crucial moment that a waiting Death Watch would spring its trap, and lay low one of the greatest Mandalorian leaders of modern times. Jaster Mereel is ambushed and killed by Tor Viszla of Death Watch on Korda 6. There have been two appearances of Jaster Mereel in both video games and Hasbro’s line of action figures. 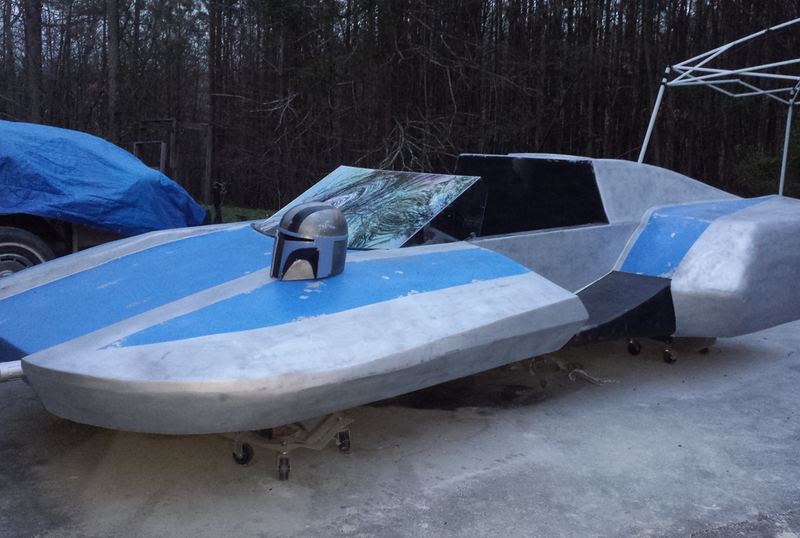 “Jaster’s Legacy” is the name of Jango Fett’s first starship, formerly owned by Jaster, and the KDY Amphibious Interstellar Assault Transport appeared in the Star Wars: Bounty Hunter video game. “Jaster’s Legacy” resembles vintage amphibious aircraft of the mid 1900s. 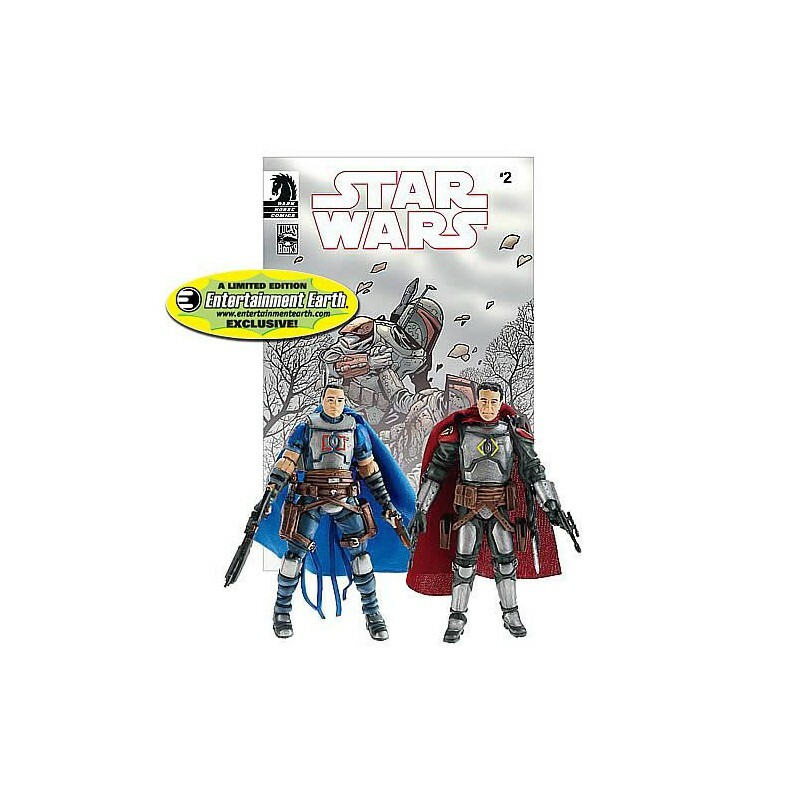 The second instance is the Jaster Mereel/Montross action figure “comic pack” sold exclusively by Entertainment Earth in 2010. Entertainment Earth 2010 Comic Pack exclusive figures of Montross and Jaster Mereel.